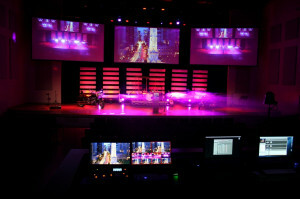 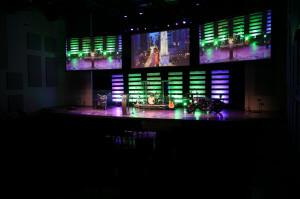 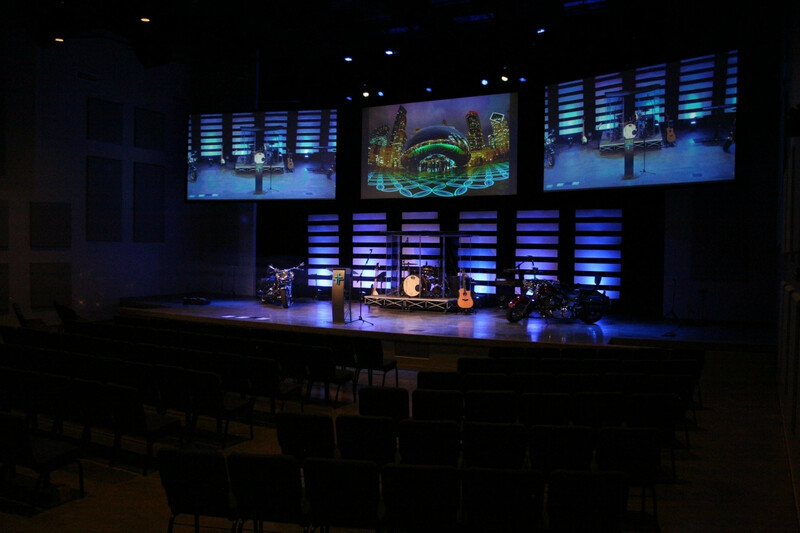 We worked directly with the senior pastor, the worship leader, the building committee and KM Stemler contracting to create a solution that brought together full concert sound, HD video (both capture and projection) and state-of-the-art lighting systems to give every church member a front-row seat to share the gospel. 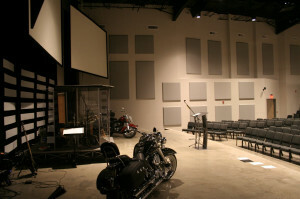 The acoustic treatment allows the sound system to project music and voice without distortion. 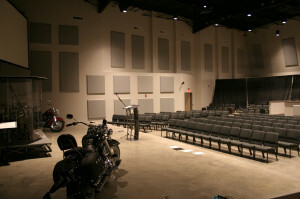 So the members clearly hear every note sang on high and each word of prayer. It’s one of the best sounding church spaces we’ve created. 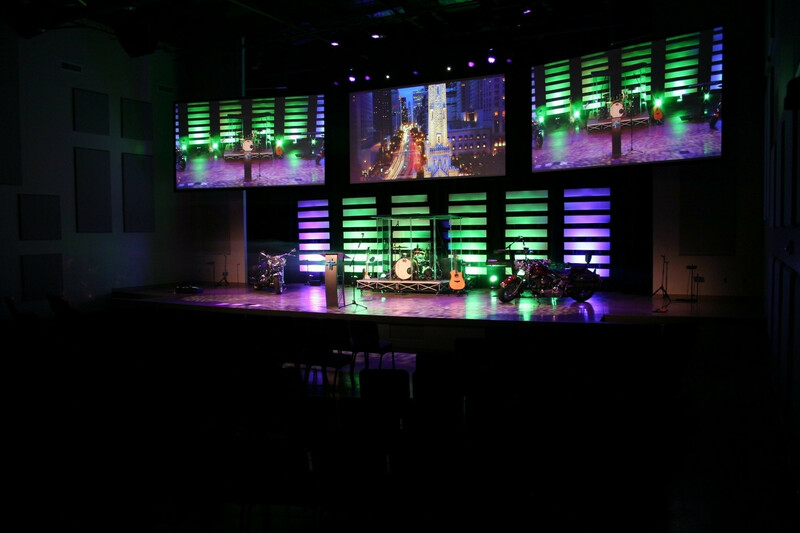 The project encompassed a full year of planning and installation, so some changes and additions came up. But our forward-thinking, experienced crew was agile enough to execute each change flawlessly — we are blessed with some of the best team members in the industry! 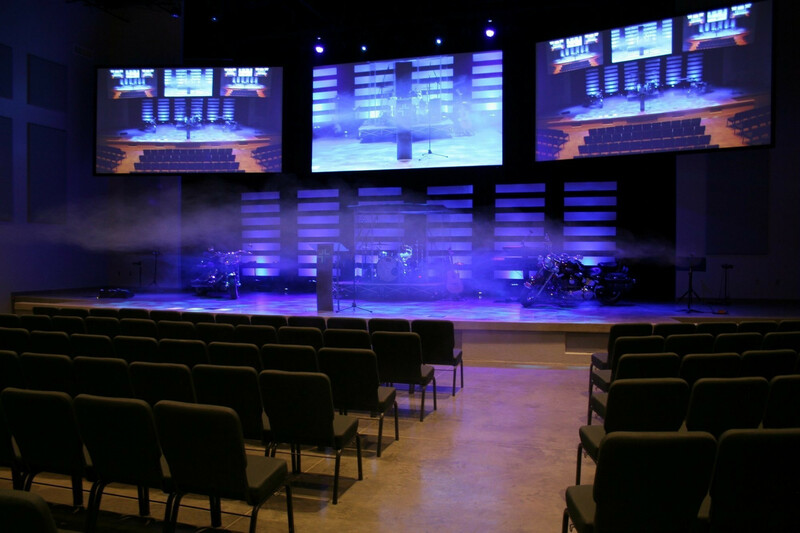 Even with changes, this project came in under budget and was ready to spread the Word on the first Sunday before the final deadline! Galen’s instructors needed a solution that connected four separate simulation labs with one control room. The labs included simulation mannequins that contain a lot of electronic components to mimic real-life health situations.